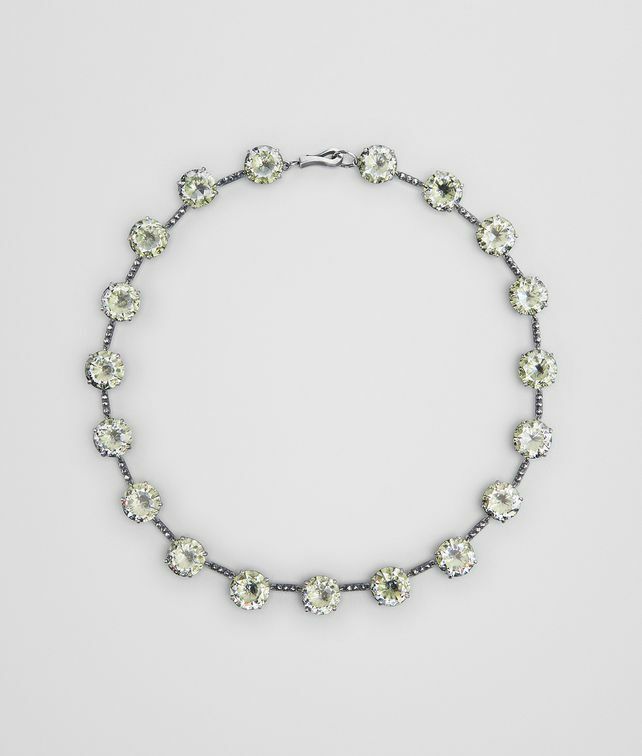 This sparkling collier necklace is crafted from oxidised silver and detailed with hand-enamelled cubic zirconia stones. The chamomile green hue is new for the season. Fastened with an intrecciato-engraved hook.